What They Say......When Jenn Adler returns from a year in India, she has a surprise for her parents: a young guru from Bangalore whom she intends to marry. Her father, Paul, is wary of this beggar Jenn has brought home who, he suspects, is conning his much-loved daughter while her mother, Maggie, is frightened that this alien stranger will steal away her only child, her focus in life. In the months leading up to the backyard wedding, Maggie is forced to reevaluate her virtues as she casts about for support, and Paul faces an unexpected threat at work one that Maggie could help him meet, if he would only ask. But even with these distractions, the two parents are focused on one primary question: Can they convince their daughter she is making a terrible mistake before the wedding takes place?" What I Say.....Ugh. I saw a little bit of myself in this story. As in, it's so easy to assume that you know what's best for your child, better than anyone else, including them. It's hard to be a parent, and that job doesn't just end when they turn 18 and go away to school and move out. It's not that you WANT to continue to control their lives, but the habits that you spent your child's lifetime learning don't change easily. But I don't think I'm quite as bad as Maggie, and I'm definitely not as big of a jerk as her father, Paul. Jenn has graduated college and spent a year traveling in India, when she writes to let her parents know that she is coming home and bringing her boyfriend, who is about to become her fiancé. Jean and Arun are working a consciousness raising type of business for the poor in India, and they are both inspired and invested in continuing this work. They are coming home to visit, but not looking for money, not asking for anything. And Jenn's parents just can't understand that. In the meantime, her father, Paul is continuing his decades long affair, along with doctoring research in his lab at the hospital. 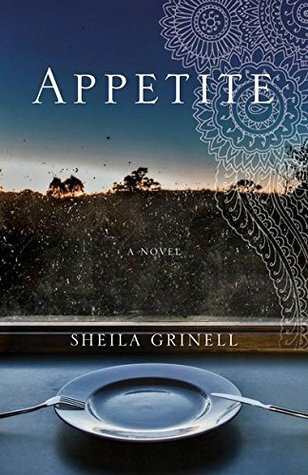 Her mother is embarking on an affair and trying to wrap her mind around why her daughter would want to leave home and work for the poor in India. Arun and Jenn looked so much more mature and grounded than her parents. No matter how rudely they behaved, Arun treated them with respect and compassion. I wish we had gotten to know a little more about what was going on in his head. Thanks to Booksparks and the Summer Reading Challenge 2016. This was a book that I never would have picked up on my own, but I really enjoyed it!